Employment of those with disabilities varied widely based on the type of disability. 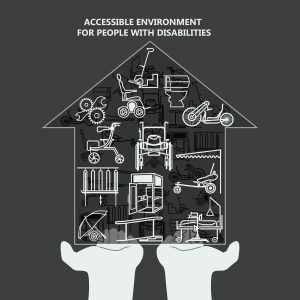 Those with hearing disabilities are most likely to be employed (51.7%), followed by those with vision disabilities (43.5%), and is lowest for those with independent living (17%) and self-care (15.5%) disabilities. Overall, in 2016, only 36.2% of those with disabilities were employed. Also, those with disabilities on average made about 2/3 of the median salary of individuals without disabilities, according to the Disability Compendium 2017 Annual Report. There is a $10,000 pay gap between those with and without disabilities in yearly earnings. Statistically, if you have a disability, it is more likely that you will be living in poverty. In 2016, among working-age people in the US, 26.6% people lived in poverty. Of this number, 15.7% were disabled. This shows a strong relationship between having a disability and living in poverty. Among the population of people with a disability, education is also a factor in whether one lives in poverty. Individuals with a high school diploma are twenty percent more likely to live in poverty than disabled persons with a college degree. For this reason, government benefits can be an essential safety net for persons with disabilities.